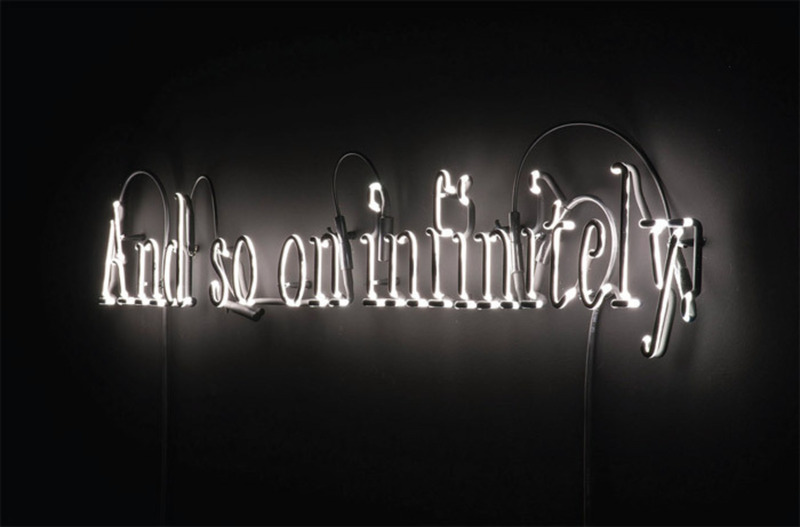 Joseph Kosuth, Texts for Nothing #3, 2010, glass, white neon, black paint, 8 1/8 x 44 5/8". In this exhibition, Joseph Kosuth’s newest work, “Texts for Nothing”: Samuel Beckett, in play, 2010, occupies the first floor of Lia Rumma’s new space in Milan. The other two floors contain older works, dating as far back as 1965evidence of the American artist’s long collaboration with the Italian gallerist, whose first exhibition of Kosuth’s work took place in 1971.